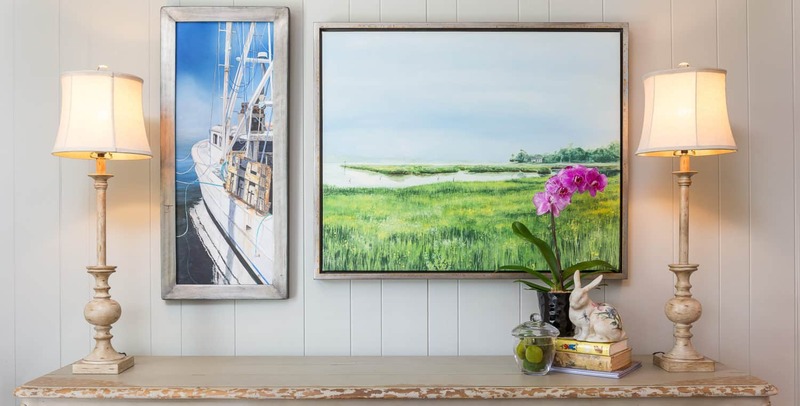 Not surprisingly, interior design trends are traveling across the continents. 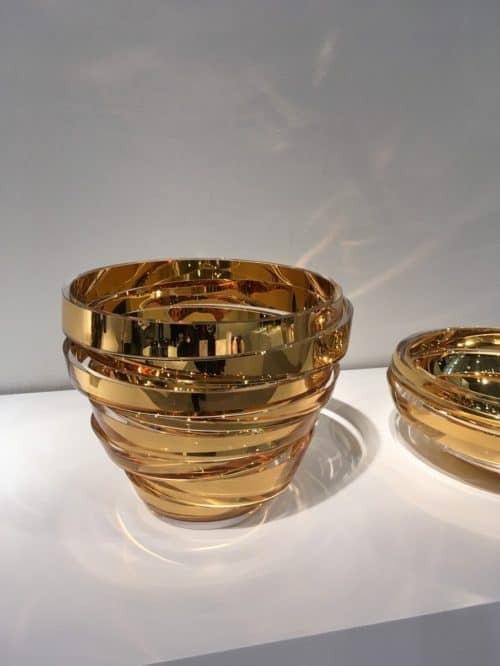 The Mason & Objet exhibition in Paris is on my Bucket List. Today I am fortunate to review European interior design trends with the help of my guest, Ann Marie Cousins. 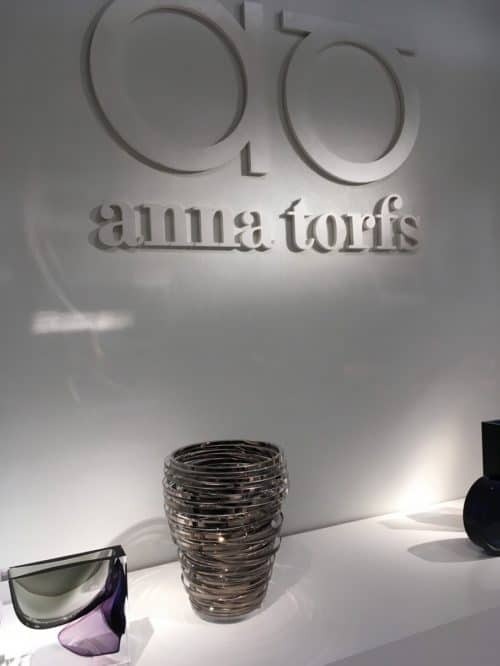 Ann Marie is a vibrant interior designer from the North of England who shares her discoveries and observations from her trip to Mason & Objet this past January. According to Ann Marie, the 70’s vibe is still going strong. This Ploum sofa from Ligne Roset showcases this style with a contemporary twist, providing comfort and adding softness to the setting. How about the color trends? Ann Marie and I discussed the Little Greene Paint (UK) company’s blue paint collection. Blues offer richness, and add depth to any bedroom, kitchen, or bathroom. 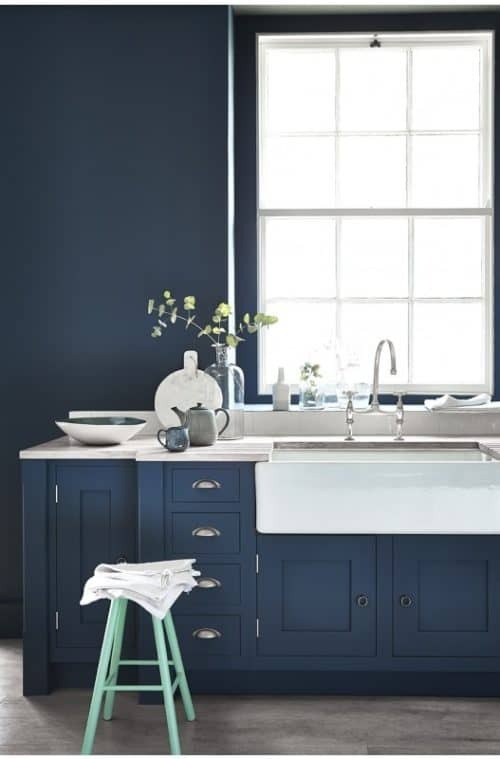 Deep blue walls and kitchen cabinets, photo by Little Greene Paint (UK). 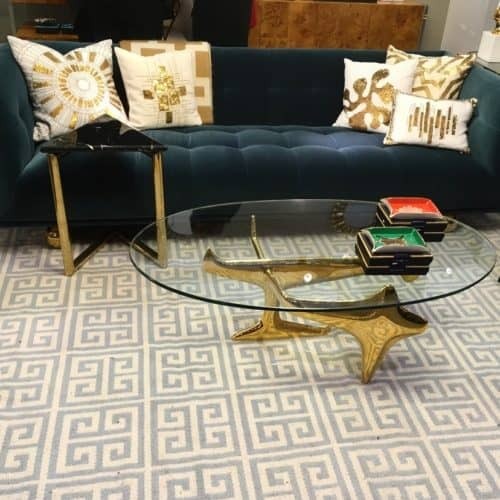 As per Ann Marie, Jonathan Adler’s collection is playful, with rich textures. This 70’s-inspired design with the brass finish gaining popularity, adding a glamorous, chic touch. 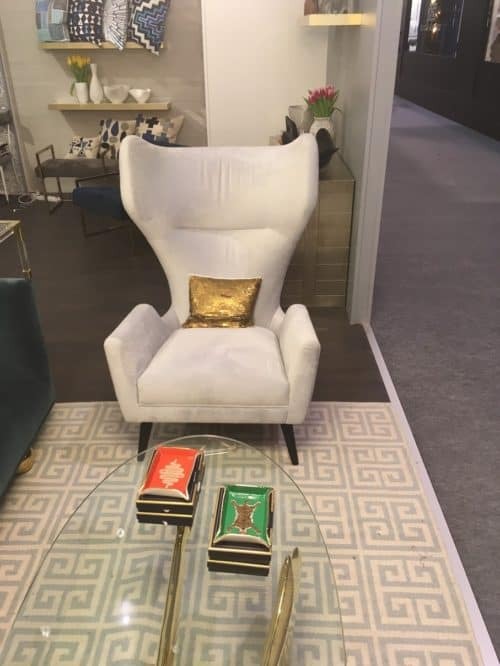 Rich textures and finishes were on display at the exhibition. 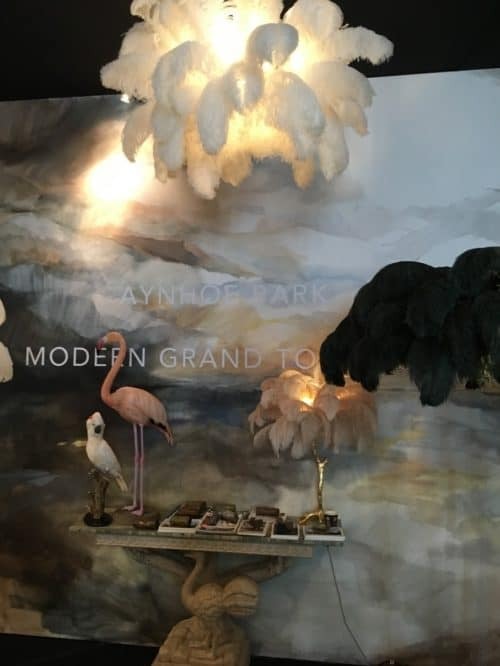 Ann Marie was impressed by this incredible collection of feather lamps, almost an artwork, by A Modern Grand Tour. I can’t agree more – what a statement piece! Stunning lamps by A Modern Grand Tour, UK. A Turkish company, Crocodily, delighted Ann Marie. 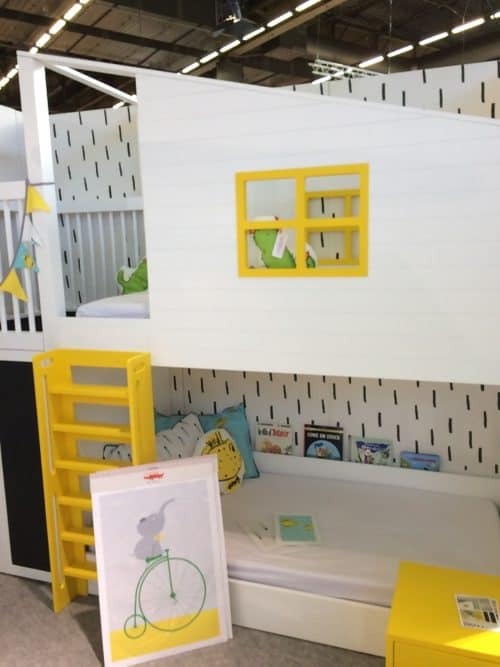 Fun kids’ bedroom sets in gender neutral colours schemes were on display. See how bright, simple, and charming they are? Crocorily fun kids bedroom furniture. 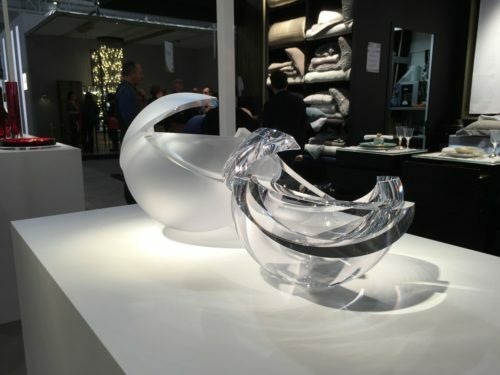 Ann Marie and I also reviewed Anna Torfs’ glass objects, which provide gorgeous finishing touches for any space. The golden vase looks so rich and glamorous. 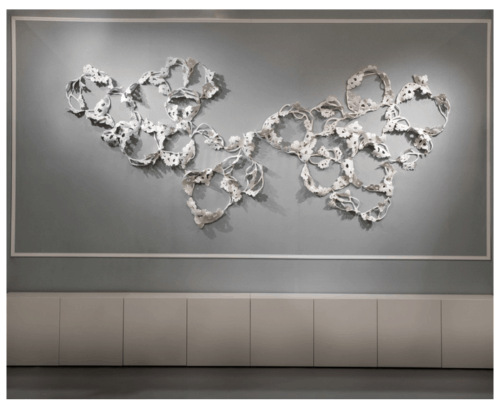 Looks like fragile lace, wall sculptures by Alice Riehl. 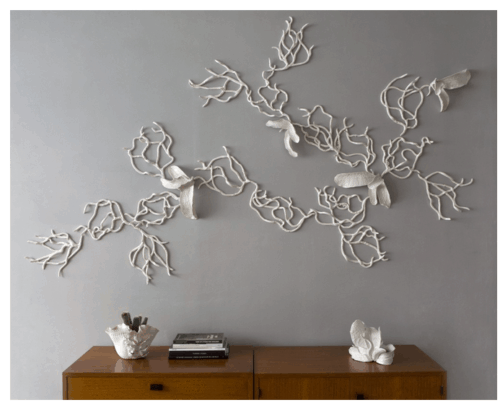 Intricate porcelain artwork transforms a big boring wall into a statement. Thank you, Ann Marie, for sharing your notes and discoveries with us! 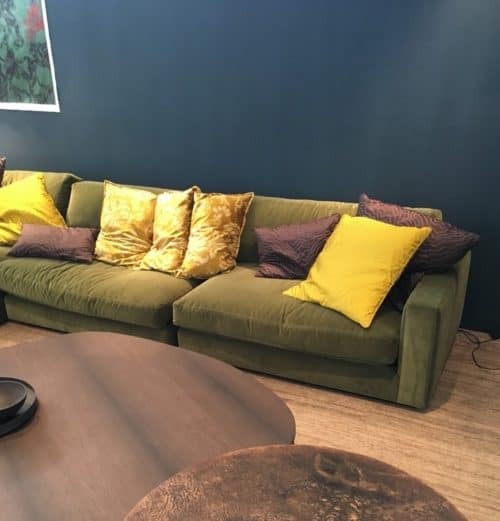 I personally like the richness of navy blue furniture and color on the surfaces – I wonder if we’ll see this color at the April High Point Market here in North Carolina. Stay tuned for the report! Please contact me if you are about to start an interior design or decorating project. Let’s make something beautiful! Some navy blue? ← Let us take you on window treatments and bedding workroom tour!